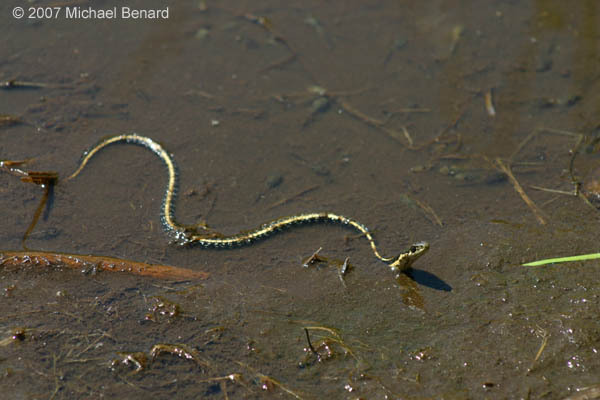 A Mountain Garter Snake (Thamnophis elegans) observed one sunny summer afternoon in Yosemite National Park. 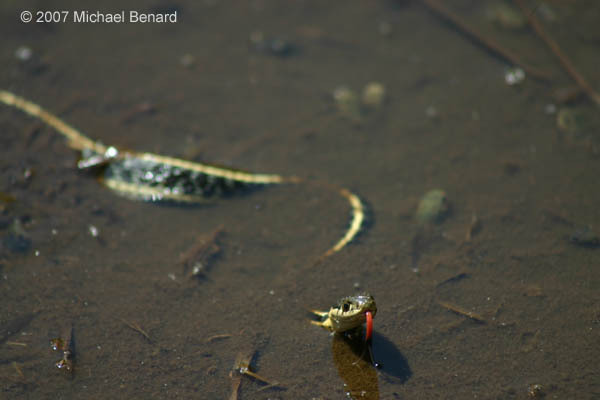 This snake spent about 20 minutes hunting and eating pacific treefrog tapdoles in a drying pool in a meadow. 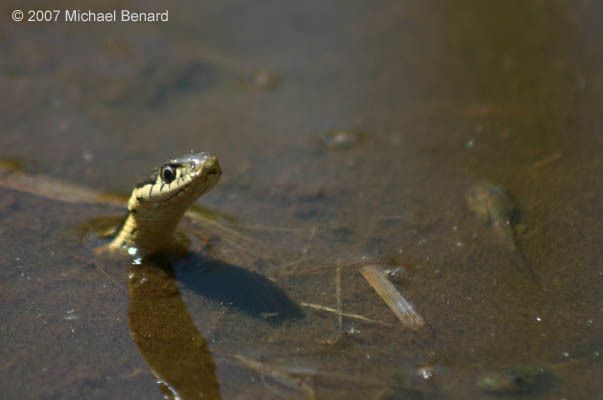 When the snake first entered the water, it looked quite slim, but by the time it left the its skin was stretched tight between its scales due to the load of tadpoles it had swallowed.